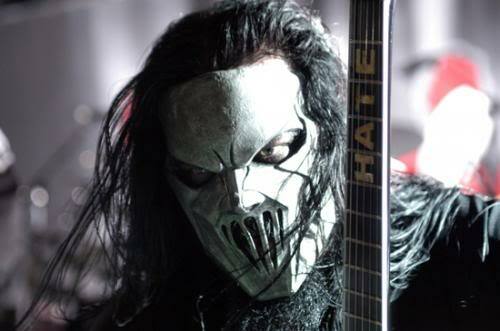 Slipknot’s lead singer Mick Thomson has been stabbed in the head by his brother during a drunken fight. Police in his home city of Des Moines in Iowa say they were called to his house early on Wednesday morning, March 11. Chief of Police Michael G. Venema said his officers were called to reports of two brothers fighting in a front yard. When they arrived they found guitarist Mick Thomson with a stab wound to the back of his head. Mick Thomson and his brother Andrew were taken to separate hospitals with non life-threatening injuries. Neither was arrested and the police investigation continues. According to local reports, Slipknot’s manager says Mick Thomson’s injuries won’t stop the heavy metal band performing. Ahead of headlining the Friday night of this year’s Download festival, Slipknot starts touring next month when they play the Fort Rock festival in south Florida.